Dr. Sibley received his medical degree from the Meharry Medical College in Nashville and completed his ophthalmology residency at University of Alabama and Harvard Medical School. 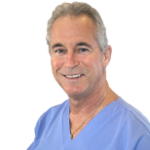 Dr. Sibley is board certified in both ophthalmology and eye surgery. Dr. Sibley is a Fellow of the American Academy of Ophthalmology and is a member of numerous medical and ophthalmic professional organizations including the International Society of Refractive Surgery, American Society of Cataract and Refractive Surgery, International Academy of Sports Vision and Out-Patient Ophthalmic Surgery Society. In addition to being the past Chief of Staff at Sun Bay Medical Center, Dr. Sibley is a Clinical Assistant Instructor at the University of South Florida Medical School and has received several recognition awards from the American Medical Association. Since 1997, Dr. Sibley has also been the team eye physician for the Major League Baseball team Tampa Bay Rays.